Losing a pet is hard, recently special education teacher Ashley Carls had to go through it. Her class Betta Fish, Flash, sadly passed away. “I was sad when he passed away,” said Carls. 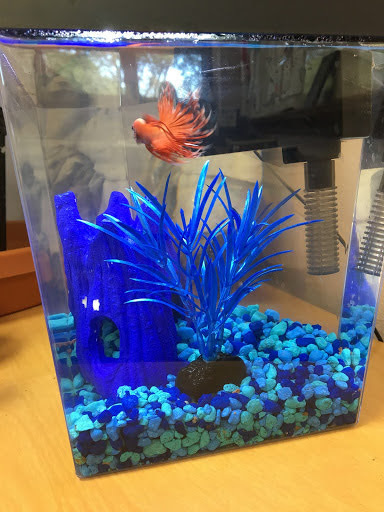 “I was worried about how my students would take the news.” She decided to buy another Betta Fish, so her class would still have a class pet. Carls ended up naming the new fish Flash Jr in memory of Flash.